Serving The Greater Triangle area & providing residential full home makeovers. We provide premium exterior painting & interior painting services and other services for your home. At Gonzales Painters & Contractors we provide top-notch interior and exterior painting services as well as roof repairs & replacement. We also work with residents, in Durham & the Greater Triangle area of NC, to help replace & repair drywall, siding and gutters. We believe in getting the job done right the first time, which means when you contact us with a project in mind, we will take the time to understand your wants and needs. This allows us to provide an estimate based on the size and scope of your home makeover project. We take pride in all of the work we do, when you work with us, you’ll understand why. Founded in 2000, Gonzalez Painters & Contractors has been providing Raleigh, Cary, Durham, and Hillsborough with expert exterior and interior painting and other residential services. Owner Florencio Gonzalez and the rest of the team at Gonzalez Painters and Contractors put customer satisfaction first. Our goal is to provide each client with a customized plan to realize the vision they have in mind for their residential space. By using the highest grade tools and materials and working with the very best trade and craftsman available, Gonzalez Painters & Contractors makes your vision a reality. We believe in doing quality work that meets and exceeds your expectations at a fair price. We believe in being on-time and on schedule (Weather permitting). We believe in a good working relationship, and good communication is very important. Therefore, every job has a dedicated project manager to ensure quality of work, from beginning to end, answer your questions, and keep you up to date with project schedule. We believe that a good reputation is built one happy customer at a time. Since the company was founded, our goal has been to build an organization that is unmatched in service, leadership, financial strength, and professional integrity. We work diligently to ensure our customers are satisfied and our employees proud. 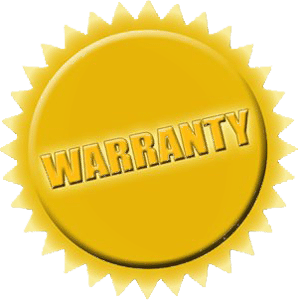 Our warranty varies on each project. All of our workers are insured. Our project managers are available full time. boosting confidence and loyalty with our clients. For all of your interior painting services and exterior painting services, as well as residential contracting services, contact Gonzalez Painters and Contractors online, or by calling/texting 919-295-2771. We will schedule a free home consultation for your painting, roofing, siding, gutter, or drywall needs. Contact us today for services in Durham, Raleigh, Hillsborough, Cary, and surrounding service areas.